Is It Best to Own the Same House All Your Life or Move Around? Many people make it a financial goal of theirs to own their own home. This is an excellent thing to aim for and once you achieve it you will feel a high degree of satisfaction. However, what do you do next? Do you stick with it for the rest of your life or look to sell it and move onto somewhere else before doing the same things again and again? There are a few different factors to take into account so let’s go through them one by one. Most of us have to settle for a reasonably low cost property as our first home purchase. There is a chance that this turns out to be a house which is a good long term investment but it might also be the case that you find somewhere better later on. Generally speaking, the more you pay for a property the more you expect the value to rise by over the years, although this clearly isn’t always the case. When you buy your first home you might not expect it to be worth a lot in the future but you could get lucky and find that the area is on the up and you benefit from this. Of course, if you live in a house for a couple of years and see that it isn’t likely to be a solid long term investment you might consider trying to buy somewhere else with a better future ahead of it. Selling your house to then go buying another isn’t the cheapest thing in the world. Legal expenses, real estate agency fees and other costs will eat up a percentage of any profit you made on the property you just sold. Most of us also like to make ourselves at home in a new property by decorating it and furnishing it to our tastes. This means that you could end up worse off in the short term by switching from one house to another. However, if you are taking the long term view then you might consider this an acceptable price to pay. Maybe you are confident enough in your ability to spot a bargain to think that you can play the property market and make money this way. This basically involves buying real estate which is undervalued and selling it when it reaches a certain price. There is a lot of skill involved in doing this and a degree of good luck is also needed. One way of increasing your chances of making a profit each time is by buying foreclosed properties or ones which are in need of repair work. If you can sell it on your terms you can make a tidy profit and put this towards a more expensive house. This is an addictive sort of hobby and if you get it right you could end up with a far more valuable property than you thought you could ever afford. Of course, we can’t look at this issue in a purely financial sense and ignore everything else. Maybe you have a family you don’t want to uproot on a regular basis. Perhaps you will be forced to move to look for work before you would ideally like to do so. There are many different aspects of life which can get in the way of whatever property strategy you plan to adopt. However, if you at least know what you are aiming for then you can try to stick to your plans as much as possible and try to minimize the impact of personal factors like these. What experiences have you had with properties you have owned? Could You Build Your Own House? 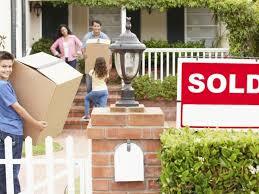 6 Responses to Is It Best to Own the Same House All Your Life or Move Around? Five houses in 36+ years of marriage. House 1 we bought as soon as we married. Stayed 1 year. House 2 bought in another town due to job transfer. Stayed 1 1/2 years. House 3 bought in another town due to job transfer. Stayed 10 years. House 4 – built dream home on five acres in country. Stayed 20 years. House 5 bought because country home was getting to be too much work as we aged so we downsized in town. We have discussed building another house but don’t know if we will or not. Lots to consider. Basically the question of whether to stay in one house your whole life – or not – all depends on what routes that life takes. Eight way can work out just fine. I think buying your own house is the right choice because moving can take a lot of your time and can have a negative affect to your family, especially your children.